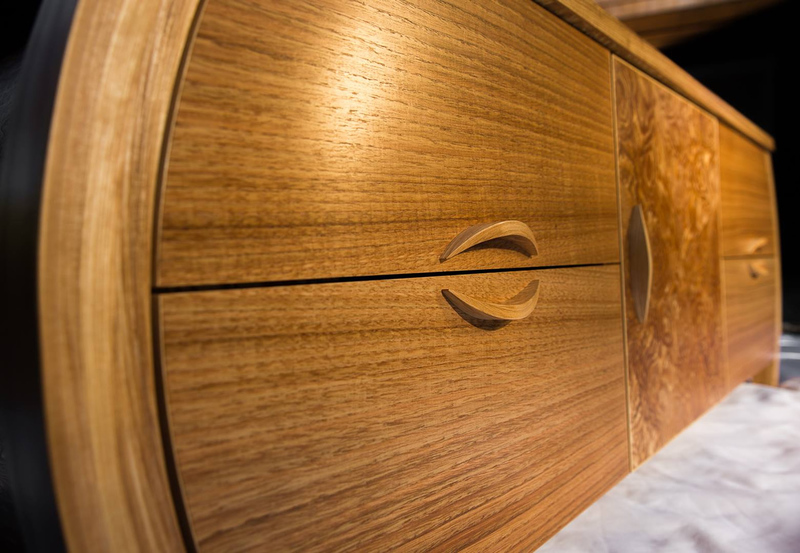 Highly figured japanese tamo and quiet quarter-sawn english chestnut veneers combine to form stunning cabinet. Bent-laminated ash legs and pulls highlight curved design. 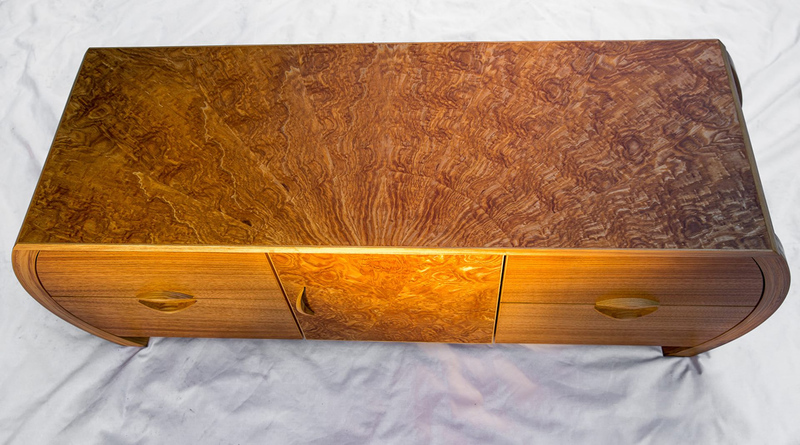 Booked and slip-matched tamo veneers create a dramatic fan-patterned top. 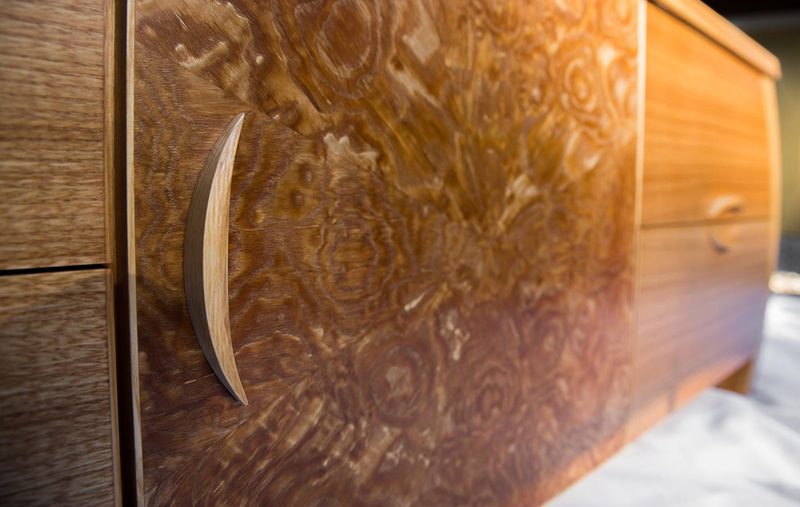 Center door veneers create sun ray pattern. Hand-rubbed finish with fine wax topcoat.